Before founding Sequans Communications, Georges Karam was vice president of cable access for Juniper Networks, running the cable engineering and marketing departments and managing the cable sales launch in EMEA. He joined Juniper Networks when the company acquired Pacific Broadband Communications (PBC), where he was the first executive to join the founding team to act as vice president of engineering and general manager for Europe. Georges has served in a variety of senior management positions at Alcatel, SAGEM and Philips. He is a senior member of IEEE, has authored numerous technical and scientific papers, and holds several patents in digital communications. Deborah Choate joined Sequans in 2007, before which she was chief financial officer at Esmertec AG and Wavecom SA and vice president of finance at Platinum Equity. Earlier in her career, she was an audit partner with Ernst & Young. Deborah has over 25 years of experience in management, finance and accounting, including over 10 years working with technology companies, in particular communications hardware, software, and services. Before founding Sequans with Georges Karam, Bertrand Debray was director of hardware and ASIC development in the cable product division at Juniper Networks. He joined Juniper Networks after the company acquired Pacific Broadband Communications, where he played the same role and was instrumental in building the cable product and team. Bertrand has held technical and management positions at Alcatel. He has 20 years experience in large project development covering all access technologies, including wireless, satellite, and cable. Nick Taluja leads Sequans' worldwide sales operations. In this role, he drives the formation and execution of Sequans global sales strategy that supports the company's overall business objectives. 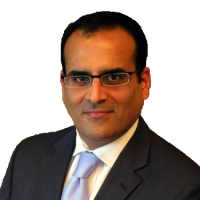 Taluja has extensive sales management experience having lived in North America, Europe and Asia and worked for American, European and Asian companies. Prior to joining Sequans, Taluja led the sales organization for SK hynix, a leading supplier of DRAM and Flash memory solutions, as vice president for the Americas. in the field of near field communications (NFC). Nick holds an M.S. in electrical engineering and a B.S in computer engineering and mathematics from Kansas State University. Didier Dutronc heads Sequans business units and oversees Sequans' marketing, strategy, business development, and carrier support organizations. 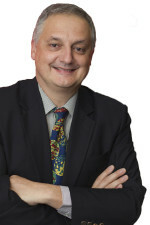 Prior to joining Sequans, Didier acted as an advisor to Sequans as chairman of Asia Business Consulting Ltd., a Hong Kong-based consultancy targeting the IoT market. Before that, he was SVP and GM of the M2M and Embedded Solutions Business Unit at Sierra Wireless, and before that, was GM of the Handset Business Unit at Wavecom, which was subsequently acquired by Sierra Wireless. Prior to Wavecom, Didier was CEO of Alcatel Optronics USA, and VP of sales of Alcatel Optronics France. Earlier, he spent ten years at Texas Instruments in sales. Didier is highly experienced in P&L management, strategy, M&A, and business development in the global high tech industry. Fabien Buda leads Sequans engineering department and is a member of the company’s original founding team. Since 2003, Fabien has held positions of increasing responsibility including LTE project director, platform director, and DSP manager. Before joining Sequans, Fabien was DSP manager in the cable product division at Juniper Networks. He joined Juniper Networks after the company acquired Pacific Broadband Communications, where he was holding the same role. Prior to that, he held technical positions at Alcatel. He has more than 20 years’ experience in large project development covering all access technologies, including wireless, satellite and cable. He holds a MSE from Ecole Nationale Supérieure des Télécommunications, Paris. Danny Kedar leads Sequans’ IoT and Broadband Business Unit and has returned to Sequans after three years as CEO of Stylls (stylls.com) an internet company offering a unique photo book creation and sharing application. From 2009 to 2012, Danny was one of the founders/managers of Sequans’ newly established LTE division. In this position he was instrumental in the development of Sequans’ first LTE products. Prior to this, Danny was CEO of Dorfour, a company developing technology for LTE modems, which experience led directly to his affiliation with Sequans. Earlier in his career, Danny held positions including design engineer and marketing manager at companies including Agere Systems and Texas Instruments. Danny holds an engineering degree from Technion, Israel’s leading engineering school, and an MBA from Lehigh University, Pennsylvania, USA. Hugues Waldburger leads Sequans’ Vertical and Strategic Business Unit. He joined Sequans in 2008 as vice president, product line management and then became vice-president, product and program management. From December 2003 to June 2008, Hugues was with Wavecom S.A., where he held several positions, including director of performance and validation, director of program management, and member of the steering committee. Prior to Wavecom, from June 2000 to November 2003, he led the product integration program for cable networks at Pacific Broadband Communications, which was acquired by Juniper Networks in 2001. Earlier, Hugues held technical management positions for embedded systems with the electronics group, Thales. Hugues has more than 25 years of experience in embedded systems and technology.